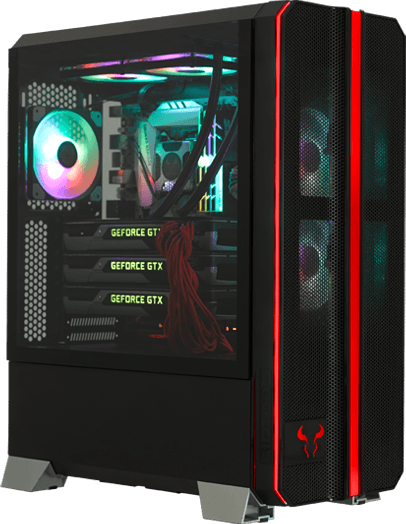 The CR1288TG Prism RGB full-tower case builds upon RIOTORO’s CR1288 with addition of a full tempered glass side window and multi-colored RGB lighting effects. 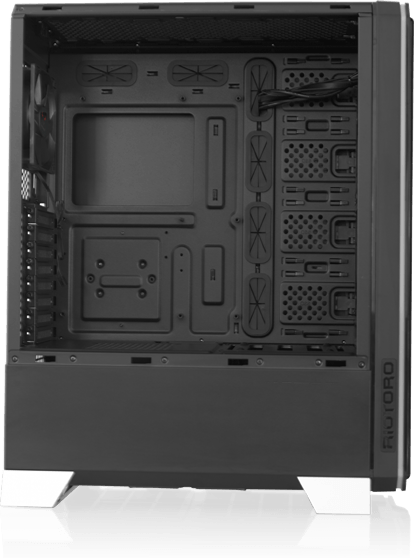 The front panel is equipped with integrated multi-colored lighting RGB lighting with pre-programmed lighting effects. 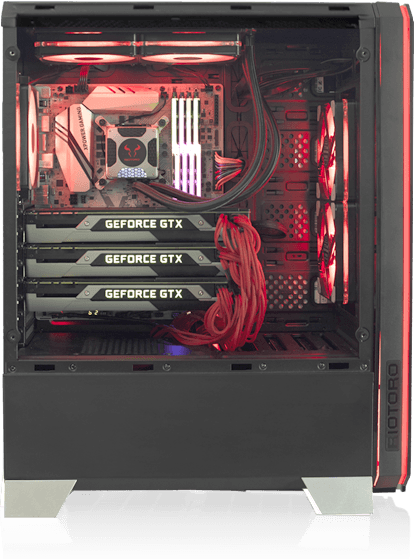 Or the case’s lighting cables can be connected to your 5 volt RGB-ready motherboard to control lighting from your motherboard’s software. The top panel buttons provides quick lighting customization with on-the-fly control of effect modes, colors, brightness and effect speed. 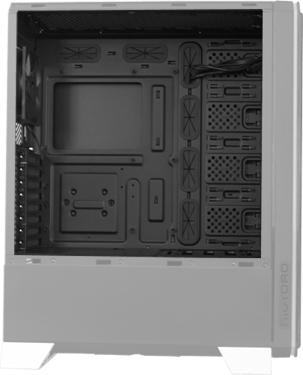 Of course, power, reset, USB 3.0, and audio ports are also included for quick easy access. 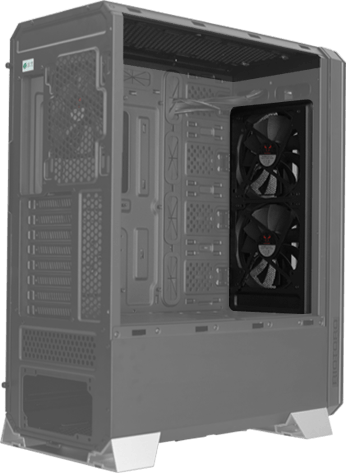 The CR1288TG Prism has separate compartments for the motherboard, power supply and drives to help direct airflow over the CPU, GPU and motherboard and to isolate sensitive drive storage. 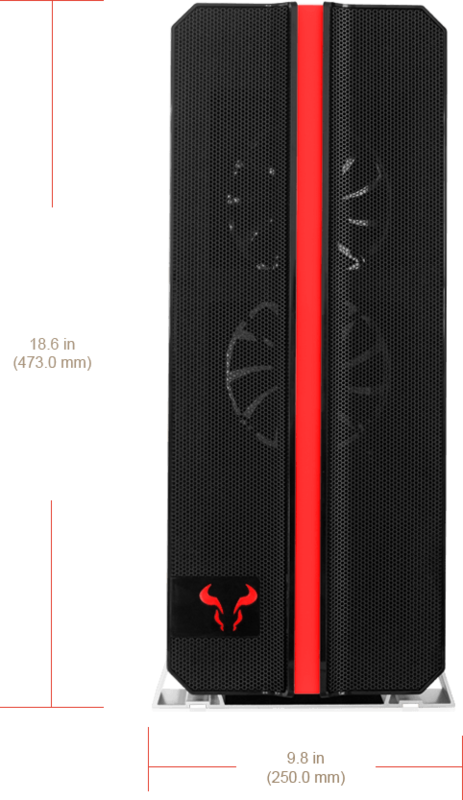 The case's mesh front panel, dual 140mm intrake fans, and rear 120mm exhaust fan provide ample cooling for extreme gaming rigs. 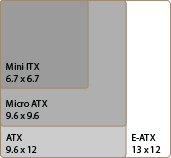 For users that want a little more cooling, the CR1288TG has additional mount points for fans and support for 120, 240, 280, and 360mm radiators. The spacious interior incorporates modern builder-friendly features easy installation and customization. 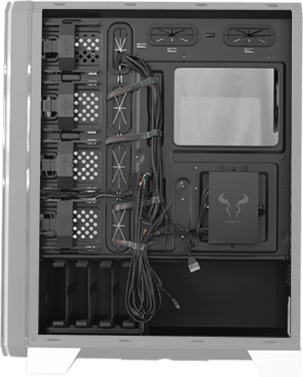 The integrated cable management is thoughtfully designed to provide optimal routing paths, and tie down points allowing users to easily secure and conceal loose cables. Tool-less drive mounts make installing hard drives and SSDs a snap.